This game is best played on a midnight dreary. Feel free to exclude rules if you feel they are too much to handle, unreasonable, or just too alcoholic. Out loud, begin reading The Raven. Read the poem with heart, with fear, with whatever emotion you feel compelled to expel the words with. The game will be that much more enjoyable if participants let themselves be engulfed in the poetry they are drinking with. 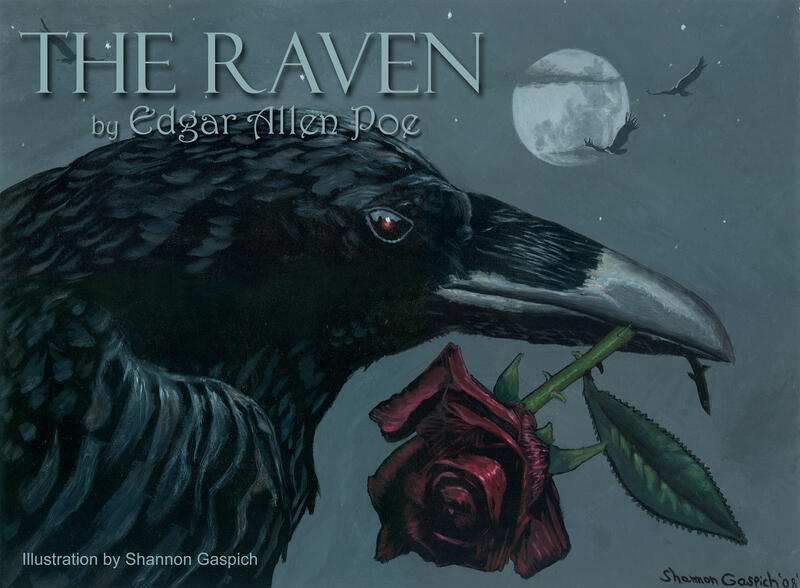 ...Poe ends a sentence with the word "door"
Edgar Allan Poe used the word "door" 14 times in the poem "The Raven". Another recurring formation of letters is "more", which are the last four letters of every stanza. The narrator of the poem goes through a range of emotions. You should be able to hear this shift in the way the poem is being read. Messing up includes both the mispronunciation of words and botching the rhythm. For every line of the Raven's, take a drink. If the group has to look up the word, everyone takes two drinks. Angels, demons, the pearly gates, the third circle. If it pertains to Heaven or Hell, drink.